March 2/3 was a cold but (finally!) snow-free soccer weekend in Upper Island for the U14 Boys, U15 Boys, U17 Boys, U18 Boys, U15 Girls, U17 Girls and U18 Girls UISA league teams competing in the 2018-19 district Pacific Development Cup finals. Congratulations to CVUSC Predators U14B (Field), NUFC U15B (Wasserman), PRYSA Panthers U17B (Rice), MIYSA Mariners U18B (Richards), CVUSC Wildfire U15G (Stevens), AVYSA Athletics U17G (Chase) and the CVUSC U18G Blaze (Oldale) who will all go on to represent Upper Island at the Island Invitational finals April 6/7 in Victoria, along with the previously- chosen CVUSC U16B (North) and PRYSA Lightning U14G (Dennis) teams. U15G Riptide, U16G Riptide, U17G Storm, U18G Riptide, U18B Storm, Powell River Energy U14B and Alberni Valley Athletics U16G were all great representatives for our district in competition. Well done to all our athletes! U14B Powell River Energy won Bronze! U15G Upper Island Riptide won Bronze! U16G Upper Island Riptide won Bronze and the Fair Play Award! U18G Upper Island Riptide won Gold and are the 2018 Provincial A-Cup Champs! U15 Boys (whose roster included Eric Gueldenstern and Caleb Vallance, former Storm/Riptide players from Mid Isle and Powell River. U14 Boys (whose roster included Emile Abele (finals MVP), Ambrose Tinmouth, Declan Brown, Zavier Hurson, Patrick Osakabe Green, James Rideout, John Uhlig, Spencer Brown and Sebastian Magana, former Storm and Riptide players from Campbell River, Comox Valley, HCFC and Oceanside). Good luck to the U15B Wave as they move on to Canadian Nationals in October! This year, UISA league district B-cup reps and five UISA VIPL teams all took part in the Coastal Cup quarter final round. It was a really exciting cup play weekend in our district – great to host so many Lower Mainland competitors! U18G Riptide (Harris) won their match against the DC Selects, then defeated Vancouver FC in the semi-final round. They advanced to the finals in Aldergrove against the WV Rangers, where they bested the competition 2-1 and returned home as the 2018 Coastal A-cup U18G Champions!! On April 28 and 29, Powell River Youth Soccer hosted the 2018 Island Invitational finals. There was some great competition on the pitch, even when it got quite damp on Saturday! Congratulations to all our athletes and all our game MVPs, and well done to our Island Champions: U14B Powell River Energy, U15B Harbour City FC and U18G Comox Valley Blaze!! Huge thanks to Powell River and their volunteers – you are fantastic soccer hosts! – and to Kevin Cowie and John Charlton who came out on behalf of UISA and BC Soccer. A special thanks to the junior hockey team for contributing the shuttle bus, and to their driver and Tony Leach, who got our players everywhere they needed to go! Sunday, March 11 was a beautiful soccer day for the U14 Boys, U15 Boys, U16 Boys, U18 Boys, U15 Girls and U18 Girls UISA league teams competing in the 2017-18 district Pacific Development Cup finals. 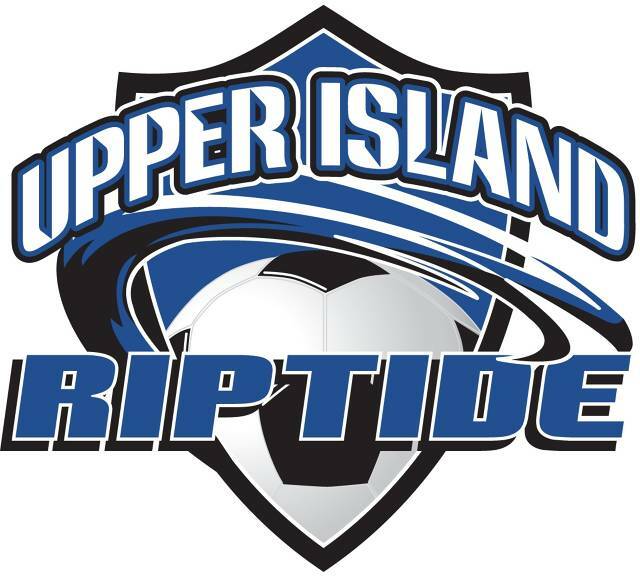 who will go on to represent Upper Island at the Island Invitational finals April 28/29 in Powell River, along with U13 Ilsand Invite playdown winners HCFC U13B-2 (Yeung) and CVUSC Wild Ones1 (Stevens) ! Ten Upper Island teams advanced to the A- and B-Cup Provincial finals July 6-9, 2017. U14G Riptide, U15G Storm, U15B Riptide, U16G Riptide, U18G Storm, Powell River Eagles U14G, Comox Valley Blaze U18G, Campbell River Strikers U14B, Powell River Panthers U15B, and Comox Valley United U18B all represented our district well in competition. U14G Upper Island Riptide won Silver and the Fair Play Award! U15G Upper Island Storm won Silver! U16G Upper Island Riptide won Silver and the Fair Play Award! U15B Upper Island Riptide won Bronze! U18G Upper Island Storm won Bronze! CR Strikers won the U14 Boys Fair Play Award! PR Panthers won the U15 Boys Fair Play Award! CV United won the U18 Boys Fair Play Award! U18G Storm (Lee) also advanced to the finals, where they bested the competition 3-2 and returned home as the 2017 Coastal A-cup U18G Champions!! It was a weekend of exciting competition in Cowichan April 29 and 30 for Upper and Lower Island teams in the 2017 Island Invitational finals, with three matches decided by penalty kicks and many close results. Congratulations to the Harbour City FC U13 Boys, the Campbell River Strikers U14 Boys, the Campbell River Rapids U14 Girls, the Powell River Panthers U15 Boys, and the Alberni Valley Athletics U15 Girls who all won the title of Island Champion 2017! See all the finals results here. THE FIRST EVER PACIFIC DEVELOPMENT CUP FINALS WERE PLAYED ON MARCH 5. CONGRATULATIONS TO THE CRYSA STIKERS U14B, THE CRYSA RAPIDS U14G, THE PRYSA PANTHERS U15B, THE AVYSA ATHLETICS U15G, THE HCFC U17G, THE CVUSC UNITED U18B AND THE CVUSC BLAZE U18G WHO WERE AWARDED THE BRAND-NEW PACDEV CUP TROPHIES! All winning teams will represent the Upper Island at the Island Invitational match against Lower Island, scheduled for April 29 and 30 in Cowichan. Seven Upper Island teams competed in Provincial finals July 9-12 2015. Congratulations to all our athletes from U13B HCFC, U14G Powell River Predators, U18G Powell River Edge, U14G Riptide, U15B Riptide, U16G Riptide and U18G Storm! The Powell River U18 Girls Edge were the winners of the Fair Play award for their division! The U15 Boys Riptide won Silver! The U16 Girls Riptide Won Silver! The U18G Storm won Silver! Nine Upper Island Tier 3 teams traveled to Saanich Fusion in Victoria on Sunday April 19 to kick off against the Lower Island rep teams in the 2015 contest to determine the Island Champion. Congratulations to all our athletes, and all the game MVPs! The Harbour City FC U13G, Powell River Predators U14G, Powell River Edge U18G, Harbour City FC U13B and Comox Valley U16B all prevailed in their matches, and emerged as Island Champions for their divisions. Well done! A huge congratulations to all the athletes on the six Upper Island teams who participated in the BC Soccer Youth Provincial A and B Cup Championships July 3-6, 2014. U13 Girls Powell River Predators – won Bronze in the B-Cup competition! U14 Boys Riptide are the Provincial A Cup champions and Fair Play Award recipients – the first Riptide VIPL franchise team to bring home a Provincial title! U18 Girls Powell River Fury are the Provincial B Cup champions and Fair Play Award recipients! U18 Girls Storm are the Provincial A cup champions – the first Storm VIPL franchise team to bring home a Provincial title! PR Fury U18G advanced to the semi-final match against CAU Piccolo Burnaby. The 50th annual Island Invitiational tournament was held in Port Alberni on May 3, 2014. Thanks to Alberni Valley Soccer for hosting! Congratulations to the U16G Powell River Cobras and U18G Powell River Fury, who are the Island Champions for 2014!